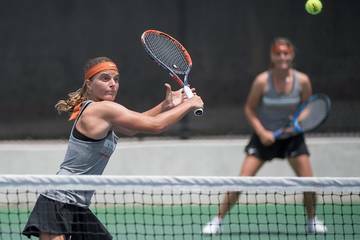 The fourth shutout thrown against Texas this season cost the Longhorns a chance to claim a conference series against the visiting Wildcats. On Sunday’s second pitch, Kansas State third baseman Cameron Thompson homered over the fence in right field. The Wildcats squeezed in a run with a fourth-inning bunt. Those two runs were enough for Kansas State, which had only won two games in which it scored less than six times. 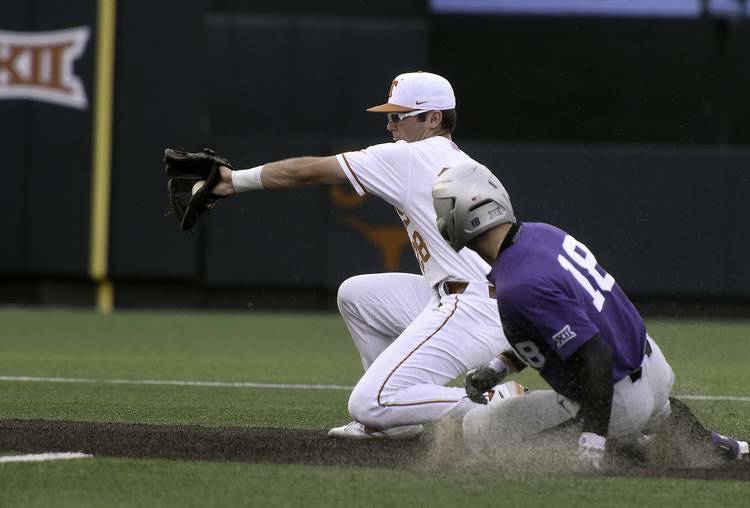 Kansas State freshman Jordan Wicks walked four Longhorns and gave up five hits on Sunday. The left-handed Wicks, however, struck out six batters over the first complete game of his young career. 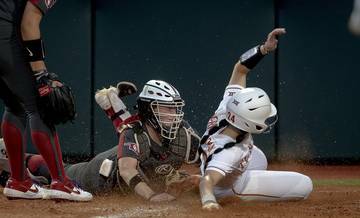 UT stranded four runners at second base against Wicks, who threw 129 pitches. This marks the second straight season that Kansas State (16-21; 3-6 Big 12) has won a series against Texas (23-15; 5-6). 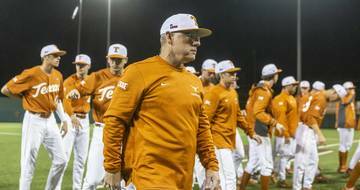 Including last year’s regional and super regionals, Texas had claimed a victory in its last 11 weekend series at UFCU Disch-Falk Field. 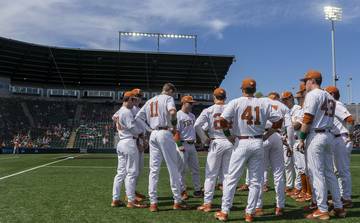 The Texas athletic department closed out its “Made in Austin” weekend with the baseball program’s first-ever “Bark in the Park” game. The event allowed fans to bring a dog with them to UFCU Disch-Falk Field. Owners had to purchase a general admission ticket for their dogs, so Sunday’s announced crowd of 5,732 likely included some furry fans. NOTABLE NUMBER: 10. 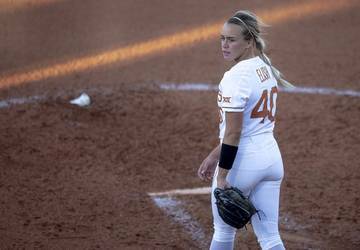 Texas starting pitcher Coy Cobb faced only 10 opponents and was pulled after Thompson led off the third inning with a single. Cobb allowed three hits and a walk. This was the shortest outing of Cobb’s career, but the freshman right-hander failed to reach the fifth inning for the sixth time in eight starts. Cobb’s record dipped to 0-3 after Sunday’s setback, although he had been given a 6-0 last week during a rained-out game in Waco. 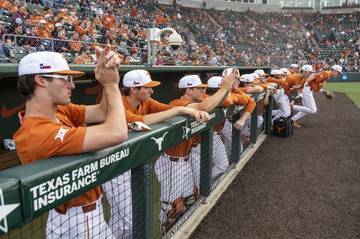 UP NEXT: Texas is set to close out a five-game homestand on Tuesday when its hosts Lamar (12-23). 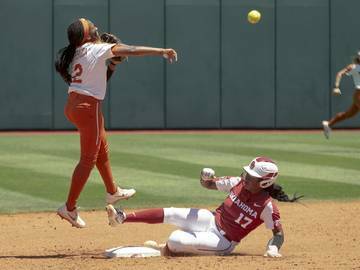 The Longhorns will then travel to Oklahoma State for a three-game series that begins on Thursday. 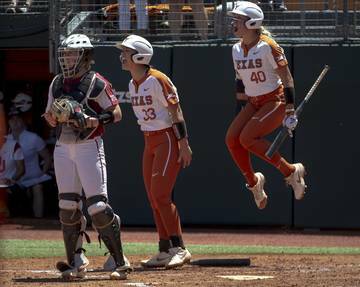 This past Friday, Oklahoma State hit a conference-record 12 homers in a 27-6 rout of Kansas.